Are you a seeker of wisdom and/or personal evolution? Would you like access to insights that will give you more freedom, peace, energy, inspiration, and joy in your life? 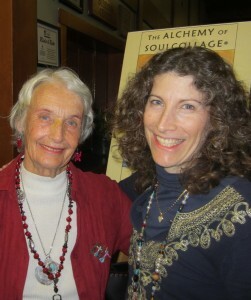 Check out a creative process for tapping in quickly to your soul wisdom. 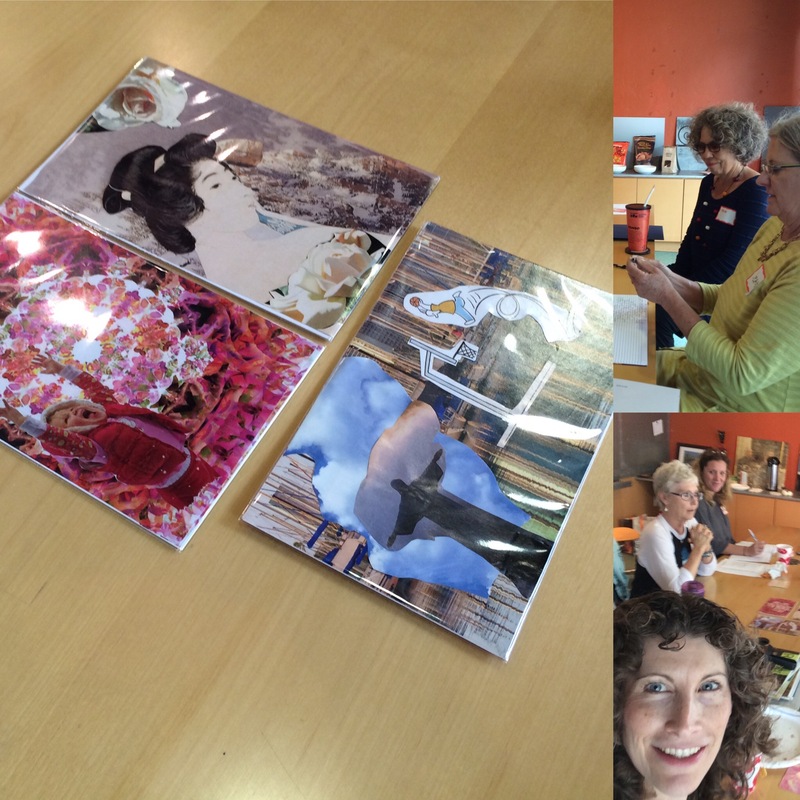 Our SoulCollage® Workshop is a retreat into your imagination. 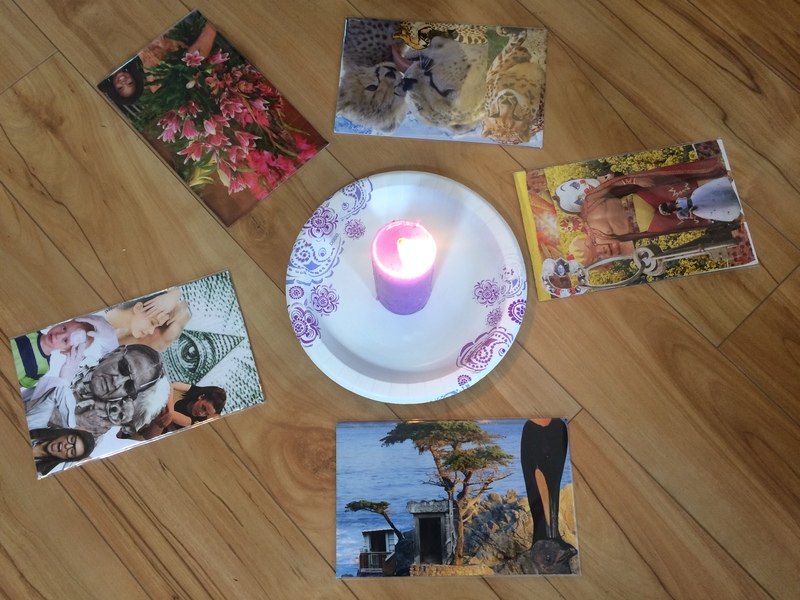 SoulCollage® Facilitator Laura Rubinstein, CHt will take you, your group, organization, mastermind, girlfriends, family, and/or family on a wonderful journey of exploring your intuitive wisdom and answering your most important questions. No artistic experience is necessary. SoulCollage® allows you to create your own personal visual journal that guides you to your intuition, inner wisdom and innate resources. It’s a journey to the riches of your soul in a fun and easy way. Anyone can do it… young ones or elders. The process is healing, inspirational, bonding, and empowering. You in? 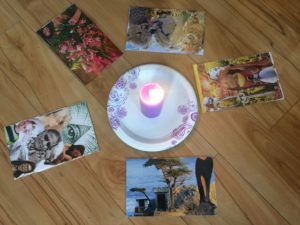 Join us for a SoulCollage® Playshop where you will dive into the intentions for the new year and address the questions you have to start the year off with answers to empower you. As we move through life we encounter new opportunities as well as challenging situations. We may use them to evolve and benefit from. We’ll let imagery give us the opening to new and/or deeper understanding of our journey in this sacred time together. SOLD OUT – please fill out form below to find out about next event. To schedule a playshop for your group call Laura at 619-940-6569. What to bring: Yourself, and your journal. If you have favorite scissors/Exacto knife you are welcome to bring yours. Any images you’ve been wanting to use. Refreshments: Light snacks will be served. To reserve your space, please register. The 3 hour retreat is only $40/person*. All supplies are included. Please Contact Us to make other payment arrangements. *If you’d paid previously and have a session on credit, please call Laura at 619-940-6569 to reserve your spot. We can customize this playshop to you and your group’s goals. Whether you want to have creative fun, do some inner exploration, get guidance from animal totems, become clear on visions, or something custom for you. Want To Attend A Future Event?